Israel, 1972. Director: Amos Sefer. Asher Tzarfati, Shmuel Wolf, Lily Avidan, Tzila Karney. 95 Mins. Grindhouse Releasing is proud to present the highly-anticipated release of one of cult cinema’s legendary lost classics. Machine gun wielding mimes, robots, blood thirsty sharks, free-loving debauchery and poignant anti-war monologues by raving mad hippies, all this and more is present in writer-director-prophet Amos Sefer’s allegorical independent film, AN AMERICAN HIPPIE IN ISRAEL. Far out! Buy the Blu-ray at Diabolik DVD and Amazon.com. 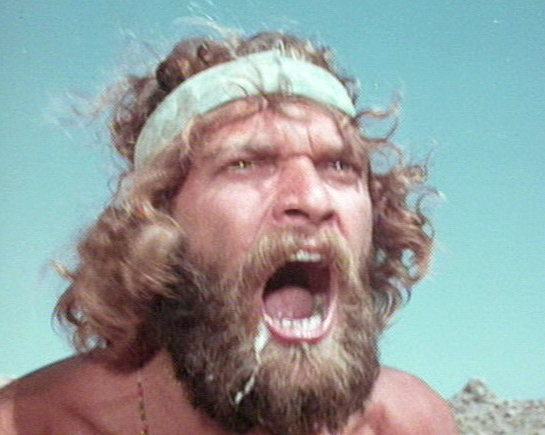 Watch the trailer for AN AMERICAN HIPPIE IN ISRAEL! MORE REVIEWS OF AN AMERICAN HIPPIE IN ISRAEL! 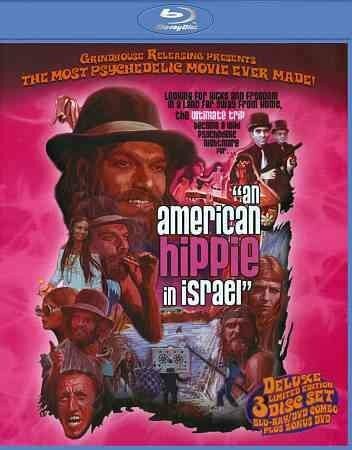 “Grindhouse Releasing go a long way towards making up for lost time with their inaugural Blu-ray offering, An American Hippie In Israel. The movie is a genuine cult oddity, a film that languished in obscurity for decades but which nevertheless stands as not only an entertaining low budget B-picture but also a unique foreign time capsule of sorts…On top of that, the disc is stacked with far more extra features relating to the film than should have been humanly possible and the film is offered up in solid shape. A very nice return to form for the label.” – Rock! Shock! Pop! MORE REVIEWS OF ‘AN AMERICAN HIPPIE IN ISRAEL’! Loved this movie. Even bought an extra copy in case it goes out of print and the one I have gets worn out from over use. I love this film in ways words escape me.